Now your character can learn super abilities. 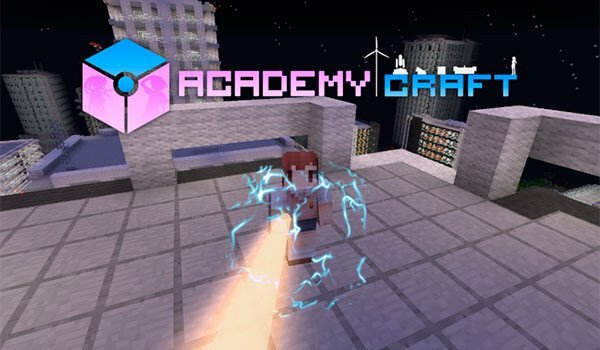 AcademyCraft 1.7.10 is a mod that takes inspiration from a Japanese manga, called A Certain Scientific Railgun. This mod will allow us to learn, improve and use super abilities with our Minecraft character, but not all the skills nor the contents of this mod, are inspired by this manga, only a part. It is a mod that completely changes the style of play, as for example with this mod installed, we can use skills to move, fight more efficiently, and even to grow our crops. All these new skills the learn and develop can go from a block called “Ability Developer”. Learn and develop these skills has a powerful energy costs, which in this case is based on an energy called “Imag flux,” so we need to create different energy sources and energy distribution systems that allow us to operate this energy system to develop special skills in our character. 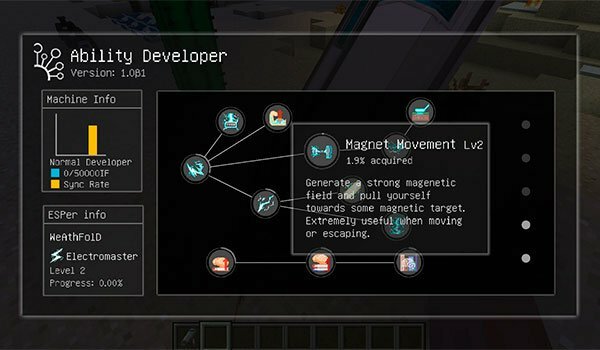 How to install AcademyCraft Mod for Minecraft 1.7.10? Now we can begin to learn super abilities!